Cancon 2013 approaches and I am behind schedule with painting the Later Hungarians (actually, also behind with the Koreans but I reckon I can knock them over fairly quickly). 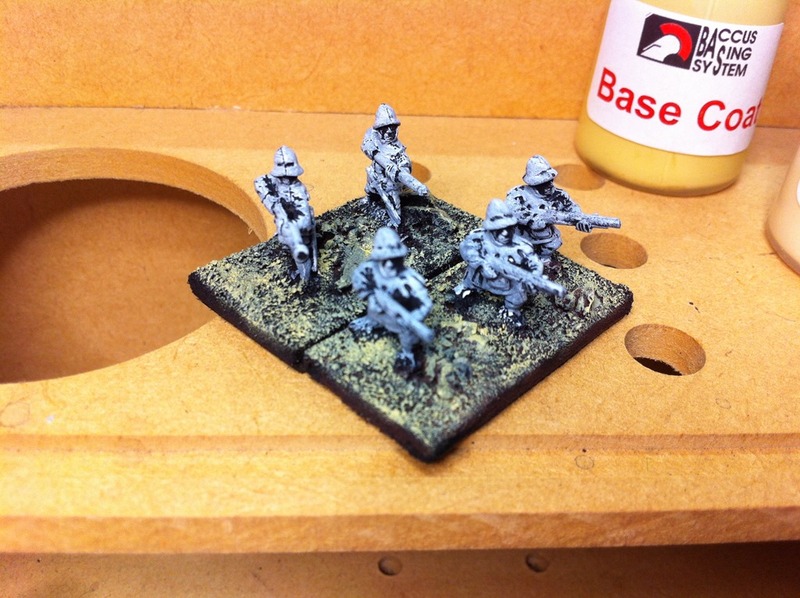 I had a worry – the bases. 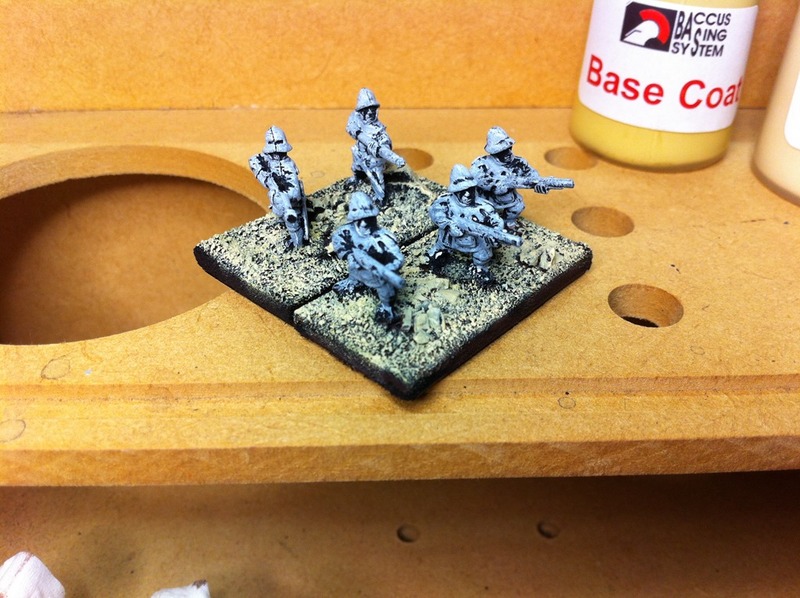 On a previous post (Cancon 2013 DBA Later Hungarians 3) you can see the bases after the sand was applied, they were undercoated and a brown wash was used. 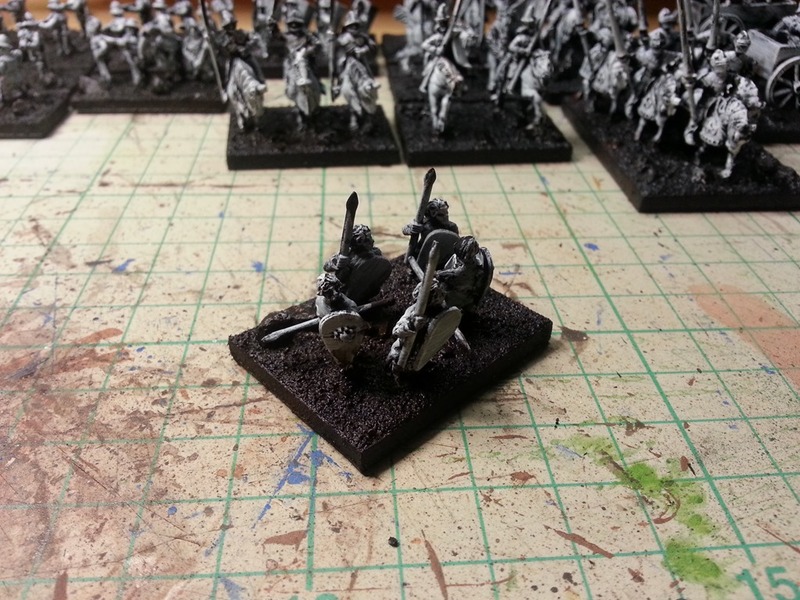 As you can see from the picture here, you really cannot see the brown on the base. I was worried that the underlying soil would look black. I decided to do a couple of test bases to see how it looked before I went hunting for a burnt sienna acrylic for the bases. Using the Baccus 6mm system for basing, I then did a heavy dry brush of the base coat which you can see hanging around at the back of the photo. The bases started to look a bit better. I decided to keep experimenting. The next colour to be applied was a not quite so heavy dry brushing of the mid coat which lightened the bases considerably. Lastly a light dry brush of the Top Coat was applied. This is almost the same colour as the Citadel Bleached Bone used to be (off white). As you can see in the last photo, this has lightened the bases up a lot. The final decision? Press on with the three colour dry brushing on the rest of the bases. 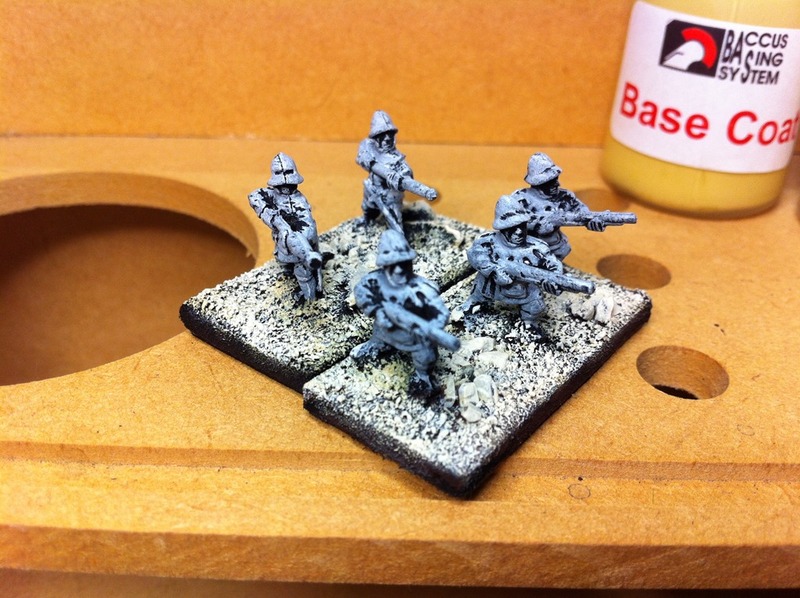 I’m desperate to get some colour on these chaps though … times a wasting!